Despite the 5 million YouTube videos on how to care for my growing afro nothing beats first hand advice. 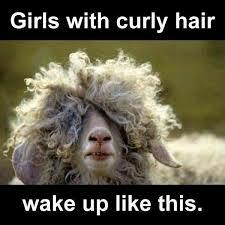 In a perfect world I would wake up and the curls would be perfectly coiled and shiny. In the real world….. I was hiding my hair under a bright bandana at the gym ( epic fail) when I bumped into a natural sistah’ ( what do I call women with natural hair? I was told sistah’ might not exactly be politically correct). She must have noticed that I kept looking at her hair because she immediately said she loved my hair…. maybe she was suffering from delirium due to severe dehydration after a killer gym session? I immediately told her my 334863863487 hair concerns and her answer was “do you co-wash?, Do you deep condition? do you use natural oils? what do you use for your pre-poo? EEEEEKKKKKKK! I told her that I work out almost daily and a long and tedious hair routine was not an option.She proceeded to give me some great tips that will hopefully help me and YOU on this hair journey. * Do not was your hair with shampoo everyday. Instead use a co-wash ( washing your hair with conditioner). There are great brands out there but using your regular conditioner works too. * Try and save your cardio for your wash day or the day before. This is a little harder for me because I do cardio 3-5 days a week. I have found that co-washing on cardio days helps. * The secret weapon? Olive oil and coconut oil. Use it in your pre-poo, shampoo and especially in your deep conditioner. BEFORE A WORKOUT lightly coat your hair in olive or coconut oil ( I prefer coconut) to help add a layer of protection against the harsh effects of sweat. To sum it up…. Pre-poo, Co-wash, ACV rinse once a week, Deep condition 1-2 times a week, Oil up before a workout and make olive oil and coconut oil your new BFF! absolubtely love this article! Thanks for sharing. Im using a bumch of stuff this article affirms that im doing something right lol the co-wash! Started using not exactly oils but used a mustard and mayo mask to moustorise my hair and keep it growing. Congratulations! It was the best thing I’ve ever made. It is a bit scary but the more you play with your hair easier it becomes!